SEOUL, SOUTH KOREA, March 6, 2019 — The Seoul Metropolitan Government will hold the “Seoul Great Festival” jointly with the Korea Association of Athletics Federations and Nike Korea from March 8 to 10 at Jamsil Sports Complex and Jamsil Hangang Park. 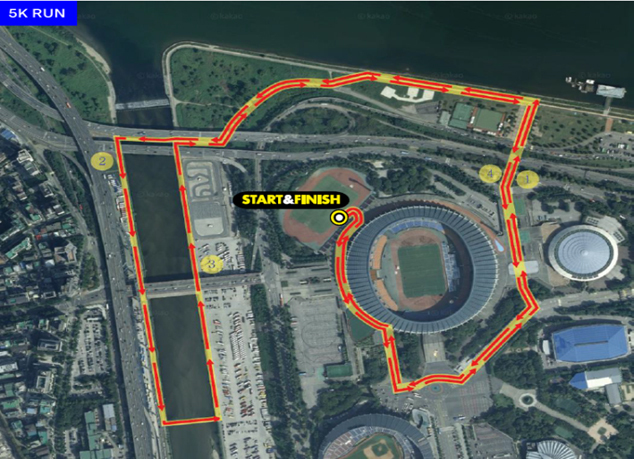 During the three-day festival, diverse sports activities and programs will be provided – a youth sports class and a five-on-five women’s soccer match will take place on the first day; running programs and training classes on the second day; and a five-kilometer marathon on the third day. 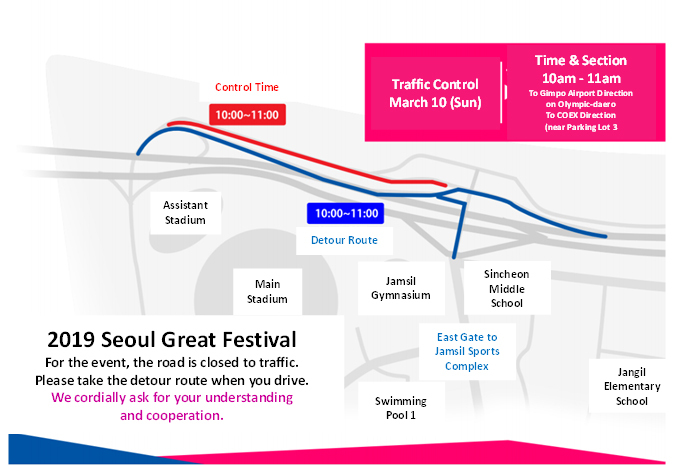 For the “Seoul Great Festival: 5km Marathon” event on March 10, the Seoul Metropolitan Government said that it will restrict traffic in the area from Jamsil Sports Complex to Jamsil Hangang Park from 9:50 a.m. to 11:00 a.m.
Programs: sports activities, cultural events, operation of sports experience zone, etc.